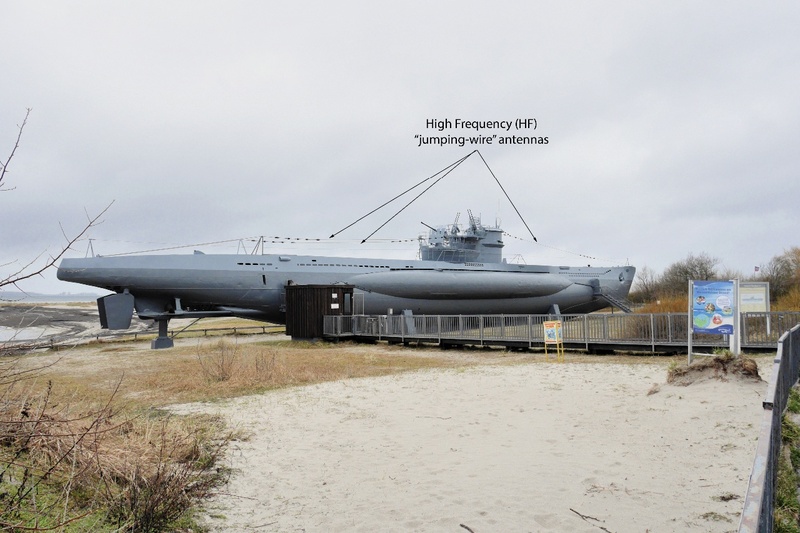 -The High Frequency (HF) antenna system for a Type VII U-boat consisted of three "jumping-wire" (end-fed long wire) antennas that could be individually selected and tuned as needed by the radio operator. -The "jumping-wire" antennas were made of 12.5 mm galvanized steel wire. -The boat had one bow "jumping-wire" antenna and two stern "jumping-wire" antennas. The bow antenna was usually used for transmitting. The two stern antennas were most commonly used for receiving.